Is there anything I can do to get rid of spider veins? I also would like to know what causes them so I can avoid getting more. Spider veins are benign, smaller versions of varicose veins that occur close to the skin’s surface, usually on the thighs, ankles or calves and sometimes on the face. Mainly a cosmetic concern, they can appear red, blue or purple. Clusters of them resemble spiderwebs. They’re reported to occur in 41 percent of all women over 50. While spider veins usually cause no symptoms, you may notice a dull discomfort around them or even a burning sensation when you’ve been standing for a long while. 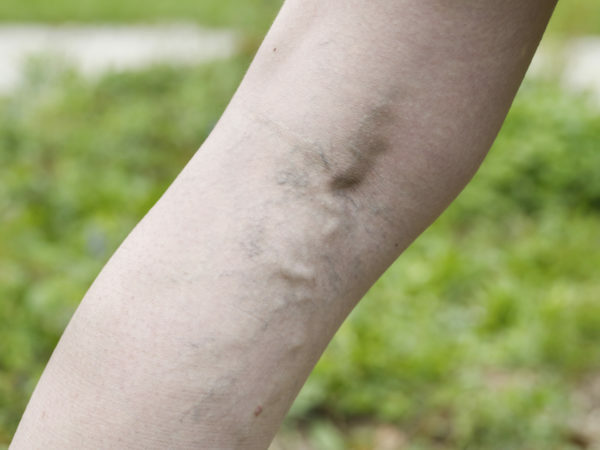 Like varicose veins, spider veins tend to run in families. The incidence also increases with age, weight and the hormonal changes associated with puberty, pregnancy and menopause. (If they occur during pregnancy, they’re likely to disappear after delivery.) 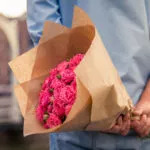 In addition, taking birth control pills and other drugs containing estrogen and progesterone may favor their development. Spider veins are most likely to appear on the face of fair-skinned individuals as a result of sun exposure and in those with acne rosacea. The most common treatment is sclerotherapy, an office procedure that works for both spider veins and varicose veins. No anesthesia is needed. A saline solution injected into the vein causes its walls to stick together and seal shut. 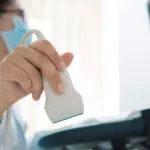 You may need several treatments depending on the extent of the affected area, but you should be able to resume your normal activities immediately afterward. Side effects can include local swelling, itching and temporary changes in skin color. Laser surgery is another option – it delivers bursts of light into the veins, causing them to fade and disappear over time. Considered less effective than sclerotherapy, laser surgery can cause local redness, bruising, itching, swelling, and permanent skin tone changes. While health insurance usually covers the cost of treatment for varicose veins, treatment for spider veins generally is regarded as a cosmetic procedure and therefore is not covered. While a single treatment is estimated to be 50 to 80 percent effective, it may require multiple sessions to fully clear up this condition, and there’s always a chance that more spider veins will eventually take the place of those you’ve eliminated. To lower your risk, be sure to wear sunscreen to protect your face, exercise regularly to improve the strength and circulation of your legs (walking is ideal), lose weight if needed and try not to cross your legs when sitting. Avoid either sitting or standing for long periods of time and make an effort to elevate your legs when resting. Try not to subject your legs to excessive heat from long hot baths or hot tubs – the heat can increase vein swelling and lead to blood pooling, according to the America Society for Dermatologic Surgery. The same organization also warns that wearing tight clothing around your waist, legs and groin area can restrict circulation leading to spider and varicose veins. If you have to stand or sit for long periods of time, wear elastic support stockings. A low salt, high fiber diet can help as well.